As I mentioned before, I use coconut aminos instead of soy sauce. I love the price. $2.99 a bottle – I probably have 5 bottles at my house. These were a discovery of mine when I went to visit my friend Molly. We wanted a snack so I bought these. We ate the chips with pineapple salsa also from Trader Joe’s. Yum! Click on the photo for more information about sweet potato tortilla chips. Yum! I love eating the pineapple salsa with the sweet potato tortilla chips. 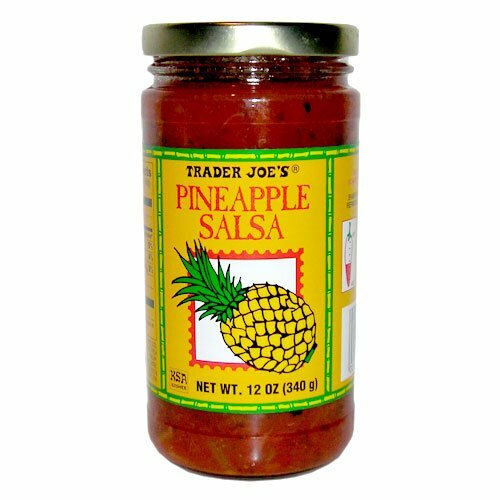 At $1.99 a jar, that’s not a bad price for salsa. This is a great gluten free and vegan breath mint. The mint has a great little bite to them. Ginger is great for upset stomachs. When I was in Pittsburgh over Labor Day weekend, we visited a local Trader Joe’s. We were all buying our dinner while at the store. I ended up getting the Gluten Free White Sandwich Bread. I used it to make myself a mixed butter and jelly sandwich. So yummy! Here is a list of gluten free foods at Trader Joe’s. For other my favorite gluten free blog posts, here are some links.